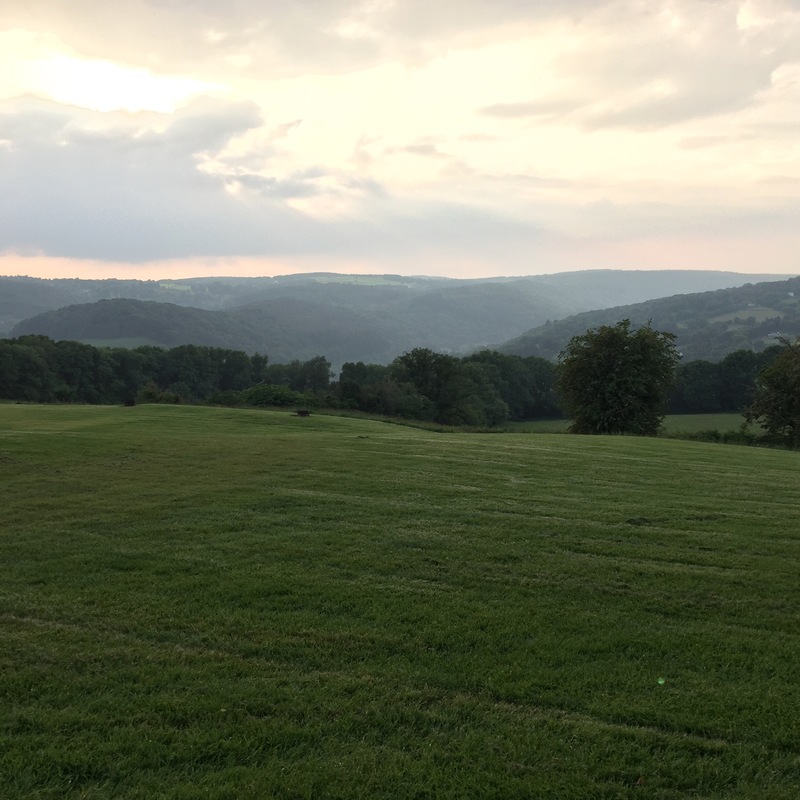 Feeling refreshed after my day off yesterday, I couldn’t wait to get the Offa’s Dyke Path started. 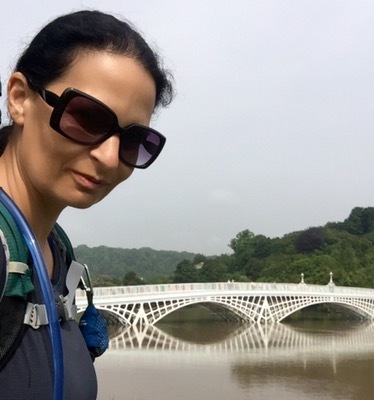 I even arrived at the start point during the morning (sometimes I impress even myself), despite having a poor night’s sleep (too muggy, no air). I was quickly on my way after a final pack check. One of the first things that struck me was the marked difference between the nature of the stretch of Wales Coast Path I’d just arrived on and the Offa’s Dyke Path. One word = hills. Yes, hills, and plenty of them too. I met a Belgian man in full stride on one hill early on, whose first words to me were, “my God, what a big pack you’re carrying”. I offered him the chance to carry it up the hill but when he didn’t answer, I took it as a “no”. I continued at a slow but steady pace. My earlier joy was short lived however, when a wrong turn due to a lack of waymarks took me on a wild goose chase landing me back where I was an hour previously. Talk about demoralising! I sat down, ate a Welsh cake (of course), put Biofreeze on my feet and carried on, rejoining the path where I should have much earlier on. In the Tidenham Chase section of the path, I met a couple of gents carrying a huge banner, as though they were on their way to a protest rally. And they were indeed protesters angry at proposed fracking in the Forest of Dean. I started to flag a bit and even a cheeky Welsh cake couldn’t save me. It was fortunate that I arrived at the part of the trail known as The Devil’s Pulpit, because the view lifted my spirits and geed me up. 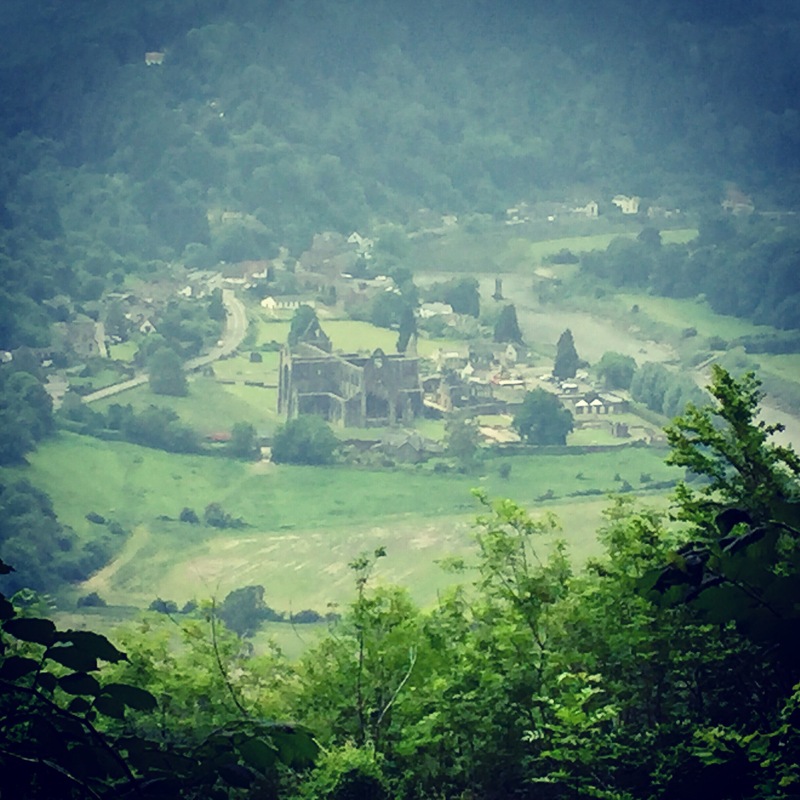 It’s a spot which has the most breathtaking view of Tintern Abbey, and is so-named because apparently this is where Satan himself would stand and try to tempt the Cistercian monks below from their holy path. Such a shame that it was a muggy, hazy day as the photo doesn’t do it justice. By now it was mid afternoon and I was still in the forest. This section of the Offa’s Dyke Path has no facilities. From the start point onwards, there had been no cafes or shops or pubs. Yes I had supplies but my water reserve was dwindling. Also, there wasn’t a water source for me to fill my Water-to-Go bottle since the trail is very high above the River Wye Gorge. So when I saw a sign pointing towards a campsite, there was no way I was continuing. A short way off the path was a stunning campsite complete with hot showers (think of me as Pig-Pen from Peanuts at this point).